Time heals is a cliche which like most cliches is more or less true at least some of the time. It might not be enough by itself but it is usually part of the healing and I’m grateful for that. Graupel – small particles of snow with a fragile crust of ice; snow pellets; soft hail; precipitation that forms when supercooled water droplets are collected and freeze on falling snowflakes, forming 2–5 mm balls of rime. Last time I bought petrol it was nearly $2.30 a litre – ho much of that was tax? Nurses and health boards are continuing to negotiate improved pay and conditions in an effort to avoid strikes. Last-ditch talks between the nurses’ union and district health boards (DHBs) will continue on Monday in a bid to avoid planned strike action. The New Zealand Nurses Organisation (NZNO) and DHBs’ negotiating teams attended mediation on Friday after nurses “strongly rejected” the DHBs’ latest offer on Monday. The NZNO issued strike notice to the DHBs on Wednesday for July 5, with notice of a second 24-hour strike planned for July 12 likely to be issued next week. . .
A survey sent to NZNO members on Monday to gauge their priorities for any revised deal had received close to 13,000 responses a day before it closed at 1pm on Thursday. A message sent to union member’s said their feedback had helped negotiators be “very clear on what your priority issues are and what will be required on order to avert strike action and resolve this dispute”. The three main priorities were remuneration, safe staffing and pay equity. However, whether the first nationwide nurses’ strike since 1989 can be averted remains to be seen. Nurses on Monday “strongly rejected” the DHBs’ latest collective offer, a $520 million package described by Health Minister David Clark as the best in a decade. . .
A $520 million package sounds generous but there would be $275 million more this year had they not wasted it on free fees for tertiary students, nearly $40 million of which will be spent on students who fail to complete their first year. It would be difficult to find anyone who thinks spending millions on students who don’t need help is a greater priority than improving pay and conditions for nurses. Teachers are lining up for more pay and better conditions too and it would be equally difficult to find anyone who thinks that wouldn’t be a higher priority than fee-free tertiary study. The free-fee policy is just one of several expensive policies. Another is the winter power payment for beneficiaries, some of which will go to wealthy retirees. These are extravagances that Labour and its coalition partners have put ahead of funding necessities. Then-National Finance Minister Steven Joyce was laughed at when he said there was a big hole in Labour’s pre-election spending calculations and that they hadn’t factored in pay increases for public servants. The trouble the government now has finding enough to satisfy nurses shows he was right. Remember how Michael Cullen boasted they’d spent the lot after his last Budget in 2008? The current government has almost spent the lot already if it wants to keep to the budgetary constraints it’s imposed upon itself to counter accusations it’s a poor manager of money. Cullen left power with the new government facing a decade of deficits. By contrast the current government came to power with forecasts of continuing strong surpluses. They could have spent wisely, factoring in the need for fair increases to give nurses and teachers much better pay and conditions. Instead they’ve wasted money on fripperies like the fee-free tertiary study and power payments for wealthy people and left far too little for basics like improved pay and conditions for nurses and teachers. If liberty means anything at all, it means the right to tell people what they do not want to hear. George Orwell who was born on this day in 1903. 524 Battle of Vézeronce, the Franks defeated the Burgundians. 1530 At the Diet of Augsburg the Augsburg Confession was presented to the Holy Roman Emperor by the Lutheran princes and Electors of Germany. 1678 Elena Cornaro Piscopia was the first woman awarded a doctorate of philosophy. 1741 Maria Theresa of Austria was crowned ruler of Hungary. 1786 Gavriil Pribylov discovered St. George Island of the Pribilof Islands in the Bering Sea. 1788 Virginia became the 10th state to ratify the United States Constitution. 1876 Battle of the Little Bighorn and the death of Lieutenant ColonelGeorge Armstrong Custer. 1880 Potatau Te Wherowhero of Waikato, the first Maori king died. 1900 Louis Mountbatten, 1st Earl Mountbatten of Burma, Viceroy of India, was born (d. 1979). 1903 George Orwell (pen name of Eric Arthur Blair), British writer, was born (d. 1950). 1903 Anne Revere, American actress, was born (d. 1990). 1906 Pittsburgh millionaire Harry Thaw shot and killed prominent architectStanford White. 1913 American Civil War veterans began arriving at the Great Reunion of 1913. 1913 Cyril Fletcher, British comedian, was born (d. 2005). 1923 Nicholas Mosley, British writer, was born. 1925 June Lockhart, American actress, was born. 1928 Peyo, Belgian illustrator, was born (d. 1992). 1938 Dr. Douglas Hyde was inaugurated the first President of Ireland. 1939 Clint Warwick, English musician (The Moody Blues), was born (d. 2004). 1944 World War II: The Battle of Tali-Ihantala, the largest battle ever fought in the Nordic Countries, began. 1945 Carly Simon, American singer, was born. 1947 The Diary of Anne Frank was published. 1948 The Berlin airlift began. 1949 Long-Haired Hare, starring Bugs Bunny, was released in theatres. 1950 The Korean War began with the invasion of South Korea by North Korea. 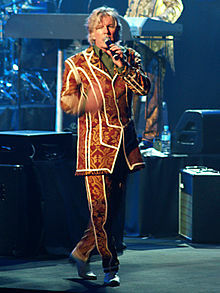 1952 Tim Finn, New Zealand singer/songwriter, was born. 1961 Ricky Gervais, English comedian, actor, writer, was born. 1962 Phill Jupitus, English comedian and broadcaster, was born. 1981 Microsoft was restructured to become an incorporated business in its home state of Washington. 1982 Greece abolished the head shaving of recruits in the military. 1991 Croatia and Slovenia declared their independence from Yugoslavia. 1993 Kim Campbell was chosen as leader of the Progressive Conservative Party of Canada and became the first female Prime Minister of Canada. 1996 The Khobar Towers bombing in Saudi Arabia killed 19 U.S. servicemen. 1997 An unmanned Progress spacecraft collided with the Russian space station, Mir. 1997 The Soufrière Hills volcano in Montserrat erupted resulting in the deaths of 19 people. 1998 In Clinton v. City of New York, the United States Supreme Court decided that the Line Item Veto Act of 1996 was unconstitutional. 2006 Gilad Shalit, an Israeli soldier, was kidnapped by Palestinian terrorists in a cross-border raid from the Gaza Strip. 2003 – The New Zealand parliament voted for prostitution reform. 2009 – Domenic Johansson, a Indian-Swedish boy, was forcibly removed by Swedish authorities from the care of his parents, raising human rights issues surrounding the rights of parents and children in Sweden. 2012 – The final steel beam of 4 World Trade Center was lifted into place in a ceremony. 2013 – Tamim bin Hamad Al Thani became the 8th Emir of Qatar. You are currently browsing the Homepaddock blog archives for the day Monday, June 25th, 2018.